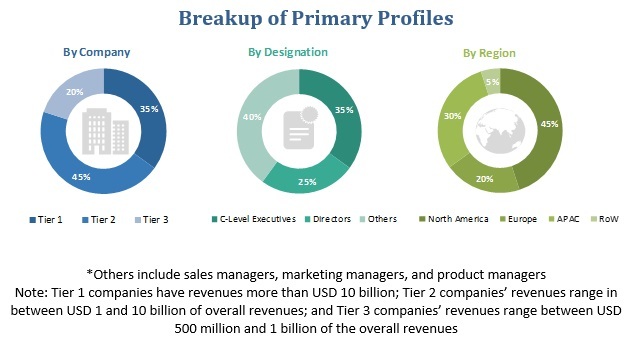 [148 Pages Report] The DevSecOps market size is expected to grow from USD 1.5 billion in 2018 to USD 5.9 billion by 2023, at a Compound Annual Growth Rate (CAGR) of 31.2% during the forecast period. The growing need for higher secure continuous application delivery and the increased focus on security on security and compliance are the major growth factors for the market. The report provides detailed insights into the market by component (solutions and services). Deployment type, organization size, vertical, and region. Among components, the services segment is inclusive of professional services and managed services. Deploying DevSecOps solutions on the cloud helps organizations deploy their codes in their production process, along with enhanced security, performance, and scalability. The cloud deployment type benefits organizations with increased scalability, speed, 24/7 services, and enhanced IT security. DevSecOps practices will help reduce Operational Expenditure (OPEX) using process standardization and automation processes, along with complete control and availability of an environment based on users’ needs. The DevSecOps market has been segmented by organization size, which has further been segmented into large enterprises and Small and Medium-sized Enterprises (SMEs). The growing awareness of the benefits of DevOps and cloud solutions, the rise of threats and vulnerabilities leading organizations to increase their focus on the security of their applications, and the business expansions by global vendors are expected to be the driving factors for the growth of the overall market. The APAC region is expected to offer extensive growth opportunities for the market during the forecast period. Rapid advancements in cloud computing, IT infrastructure services, and Internet of Things (IoT) have led many organizations to adopt DevSecOps solutions and services. With the increasing adoption of cloud technologies and the rising IT demands for business functions, the adoption of secure software development and deployment tools is expected to increase rapidly during the forecast year. Due to the huge customer potential of this region, organizations around the globe want to set their footprint here. Such factors encourage the adoption of DevSecOps solutions and services, which, in turn, would prove to be beneficial for enterprises. The major vendors in the DevSecOps market are CA Technologies (US), IBM (US), MicroFocus (UK), Synopsys (US), Microsoft (US), Google (US), Dome9 (US), PaloAltoNetworks (US), Qualys (US), Chef Software (US), Threat Modeler (US), Contrast Security (US), CyberArk (Israel), Entersoft (Australia), Rough Wave Software (US), Splunk (US), 4Armed (UK), Aqua Security (Israel), Check Marx (Israel), Continuum Security (Spain), Whitehat Security (US), Sumologic (US), Puppetlabs (UK), and Algo Sec (US). IBM is one of the key players in the market that provides a comprehensive range of solutions. IBM has also adopted inorganic growth strategies to maintain its leading position in the market. For instance, in October 2018, IBM acquired Red Hat. The acquisition was aimed to increase the market share of IBM in the DevOps market. Moreover, IBM is focused on partnering with other potential market players in this market to offer enhanced and integrated solutions that would meet the growing customers’ demands. In June 2018, ThreatModeler announced the launch of Threat-Modeling-as-a-Service (TMaaS) solution. TMaaS is a managed solution that aims to transform organizations’ cybersecurity and risk management needs using the automated, collaborative threat modeling solution. In September 2018, Aqua Security introduced risk assessment controls for server-less functions and container encryption. In May 2018, Micro Focus launched the ITOM Platform, which integrates DevOps with AIOps to speed up service delivery across large-scale hybrid IT environments. What are the upcoming industry applications for the DevSecOps market? The study involved 4 major activities to estimate the current market size of the DevSecOps solutions. Exhaustive secondary research was done to collect information on the market, the peer market, and the parent market. The next step was to validate these findings, assumptions, and sizing with industry experts across the value chain through primary research. Both top-down and bottom-up approaches were employed to estimate the complete market size. After that, the market breakup and data triangulation procedures were used to estimate the market size of the segments and subsegments. In the primary research process, various primary sources from both the supply and demand sides were interviewed to obtain qualitative and quantitative information for this report. Primary sources from the supply-side included industry experts, such as Chief Executive Officers (CEOs), Vice Presidents (VPs), marketing directors, technology and innovation directors, and related key executives from various key companies and organizations providing load balancer software and services. The primary sources from the demand-side included the end-users of DevSecOps solutions, which included Chief Information Officers (CIOs), IT technicians and technologists, and IT managers at public and investor-owned utilities. After arriving at the overall market size using the market size estimation processes as explained above—the market was split into several segments and subsegments. To complete the overall market engineering process and arrive at the exact statistics of each market segment and subsegment, the data triangulation and market breakup procedures were employed, wherever applicable. 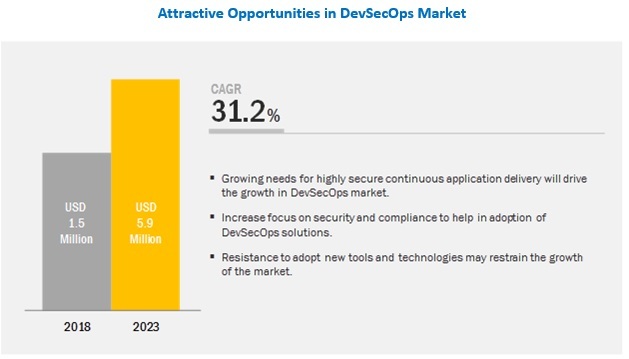 The data was triangulated by studying several factors and trends from both, the demand and supply sides, in the DevSecOps market.